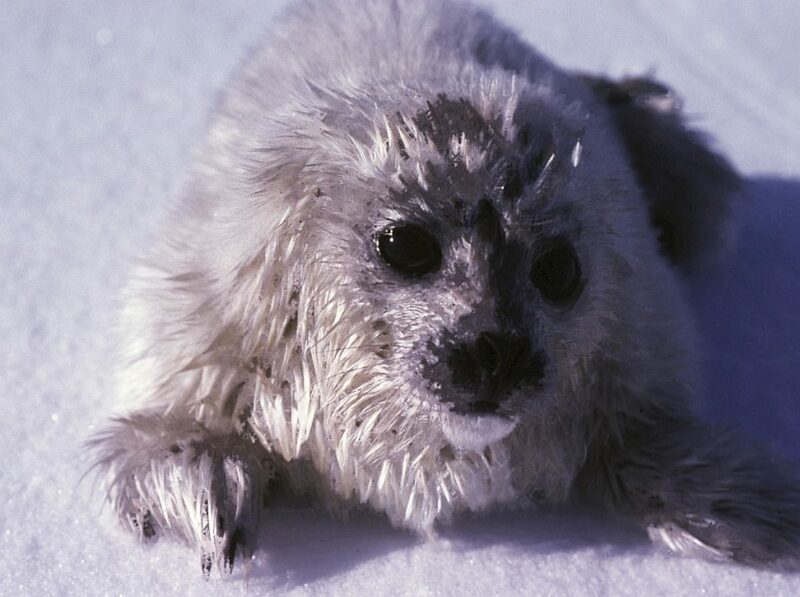 A ringed seal pup, still covered in its white baby fur, lies exposed on the sea ice. Photo courtesy of Ian Stirling. 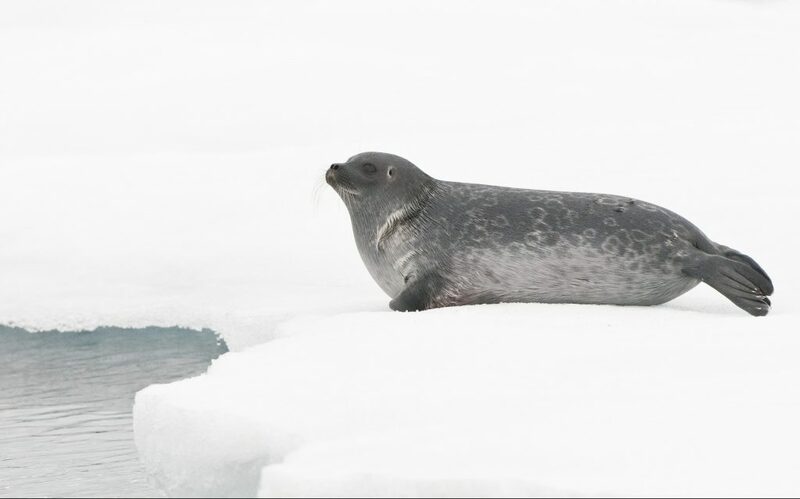 A ringed seal lies on the ice, ready to make a quick escape into the water. Note the ringed pattern on it’s coat, from which the species’ name is derived. Photo courtesy of Rinie Van Meurs. 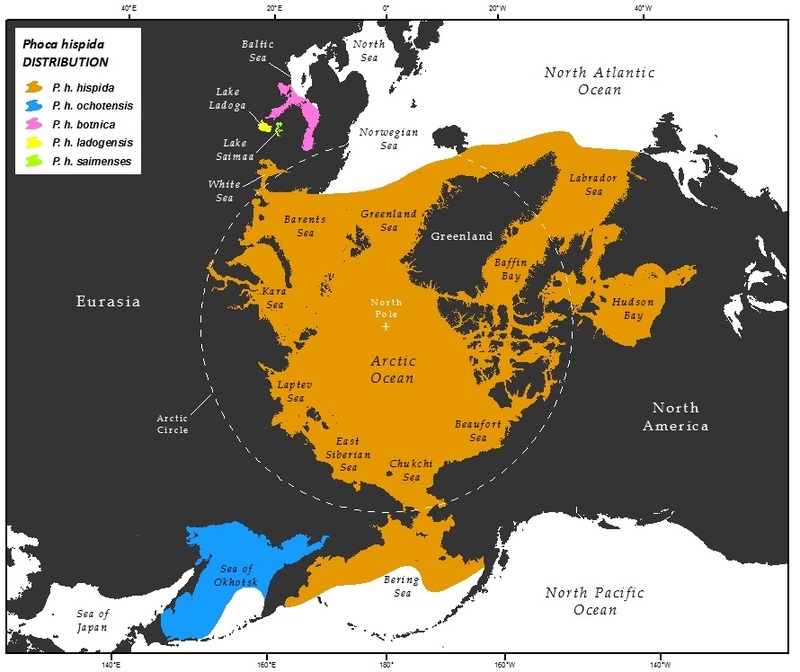 Ringed seal geographic range across the Arctic. Photo courtesy of NOAA Alaska Fisheries Science Center. change. They are the most abundant Arctic seal, with a huge geographic distribution, and are thus exposed to a wide range of climate change impacts. Additionally, changes in the community composition of Arctic marine systems can be seen through their diet as they shift their prey in response to what is available. This entry was posted in Press Release by Zoe Gentes. Bookmark the permalink.